If you are looking to fully relax and enjoy Cretan hospitality during your stay in the unspoiled southern Crete, then you have come to the right place. We invite you to experience this first-hand. Spend your holiday in one of our luxury bungalows with private pool between ancient olive trees. Experience the Cretan way of life! The plot, covering an area of 3,500m² (0.86 acre), is nestled on a hill just outside the traditional village of Sivas. We have some 25 old olive trees and natural vegetation. The hill has several terraces offering panoramic views: the Ida Mountains to the north, the sloping olive groves to the south and the sea with Paximadia islands to the west. The bungalows Delta and Sigma, each covering 42m², have been thoughtfully styled offering a homely and warm touch. The living space comprises a fully appointed kitchen and design furniture completes the look. To make your stay as comfortable as possible, each bungalow has Wireless-LAN, a TV, a music system and, of course, air-conditioning. The underfloor heating means that the Sivas Hill Bungalows can also be used during the winter months. The sleeping area with the double bed (170 x 200 cm), comfortable mattresses, quality cotton bedding and panoramic views will give you a wonderful night’s sleep. Enjoy the bathroom finished with local marble and high quality facilities. Towels, hand soap, shower gel and shampoo are all provided. The plans of the bungalows were drawn up with privacy in mind. Each bungalow has a spacious sun terrace with loungers, a table and chairs. 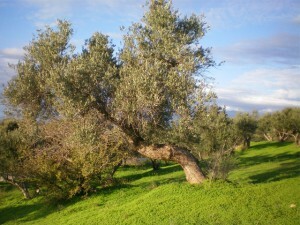 You can read a book or laze in the shade of one of the old olive trees. To cool down you can take a dip in your private swimming pool or under your outside shower. Both bungalows have their own access road and parking. At Sivas Hill Bungalows hospitality and wellbeing comes first. The bungalows and swimming pools are cleaned on a regular basis. Bedding and towels are changed regulary. Ontdek het ongerepte Kreta en geniet van de unieke gastvrijheid. Breng uw vakantie door in één van onze luxe-bungalows en ervaar het zelf!